[Christensen] manages to make wit, passion and questioning and astonishing design serve each other’s ends as one, and she does it in a way that is utterly her own. A novel about literature, love, and their elusiveness by one of Denmark’s greatest living writers. 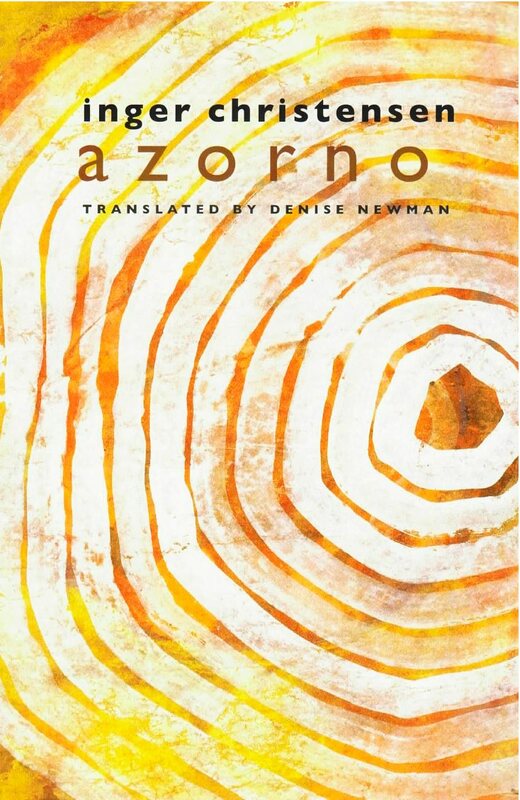 Set in modern Europe, Azorno is a kind of logic puzzle or house of mirrors, concerning five women and two men. One of the men is a writer named Sampel, the other is the main character of his novel, Azorno. All the women are pregnant by Sampel, but which of them is really the narrator? Has someone been killed? Is someone insane? Is the whole story part of Sampel’s book, or Inger Christensen’s? Reminiscent of the works of Georges Perec and Alain Robbe-Grillet, Azorno illuminates the prevailing theme throughout Inger Christensen’s great body of poetry and fiction: the interplay of perception, language, and reality. As Anne Carson said, “Like Hesiod, Inger Christensen wants to give us an account of what is — of everything that is and how it is and what we are in the midst of.” Ending with the struggle between two merged characters, Azorno simultaneously satisfies and unsettles, leaving us with a view of reality unlike any other.